Welcome to the VB Extranet! This site forms the interactive part of VB's web presence — on this site you can purchase tickets for the VB conference, register your details as a job seeker, post a job vacancy, participate in conference surveys, submit an abstract for the VB conference (when a call for papers is active) and more. 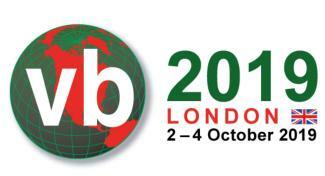 VB2019 takes place 2-4 October 2019 in London, UK. Registration for the conference is now open! In order to buy tickets for the conference you will first need to register here on the VB extranet (or sign in using the link in the top right-hand corner of this page if you are already registered here). Once you have registered/logged in, use the Tickets -> Buy tickets link at the top of the page to buy your tickets. Qualify for a discount? Please contact us for assistance. If you have any queries relating to the conference, please email conference@virusbulletin.com.